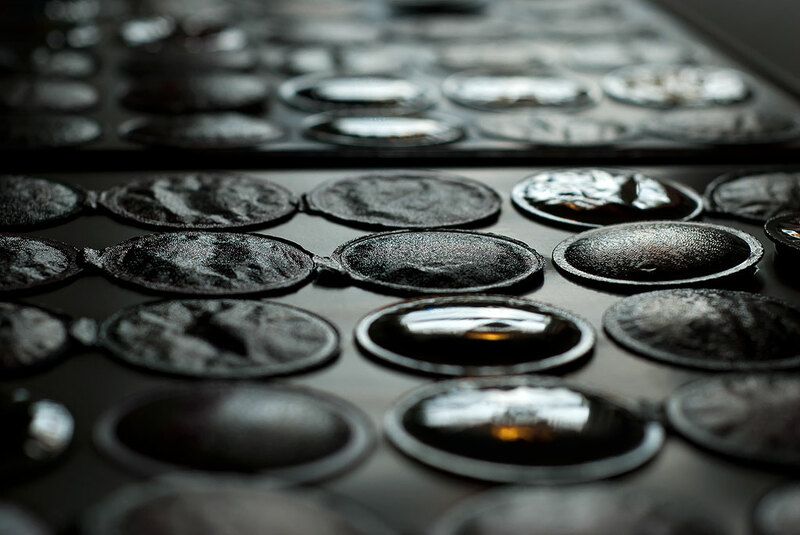 This is a bit of a fine art take on the 60-cup K-Cup® coffee variety pack. For many years I have loved coffee. My wife Abby loves coffee as well, particularly when I make it for her. We both have favorite coffee; Abby’s is Doughnut Shop brand, while mine is Folger’s French Vanilla flavored coffee. But of course, we don’t stop there, and entertain all kinds of variety. For instance, as I write this, Abby is drinking a vanilla cappuccino. Readers might recall that we both love road coffee. Read about that here (link). 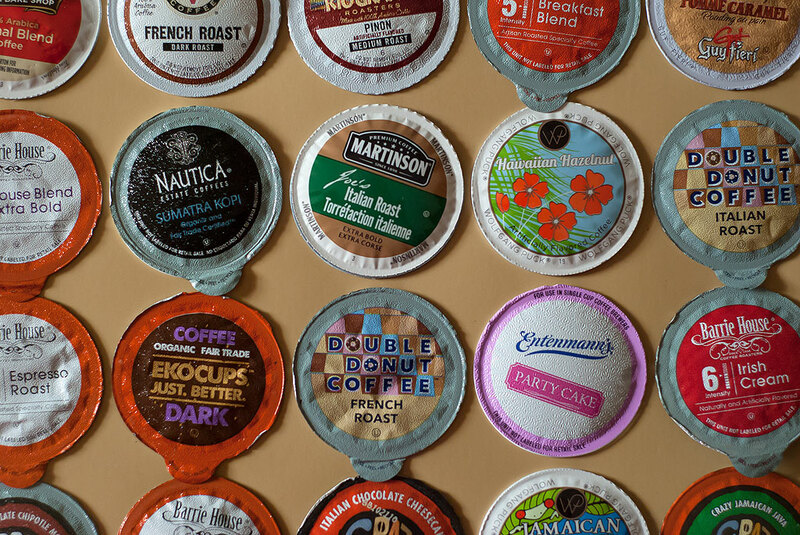 No calories, no fat, and a delightful perk: each of these k-Cup® coffees holds nothing but delicious potential. Several years ago, we bought a Keurig, a coffee maker that allows coffee to be brewed one serving at a time. Though it is considerably more expensive to use, it is very nice to be able to brew one variety of Abby’s coffee, then another for me or a guest. In the winter we can make one-shot hot tea or fruit tea, hot chocolate, or, when we are sick, can use it to make a quick cup of hot water to mix with powdered Emergen-C supplements. At work, I usually make my morning jolt in a four cup Mr. Coffee, but friend and co-worker Carl Lewis brought his Keurig to our office soon after he started working for us last summer, and welcomed us all to use it, so I sometimes take him up on that, particular if he has an intriguing variety I want to try. Carl is responsible for my love of Starbuck’s Veranda blend. I always take my coffee black, no sugar. 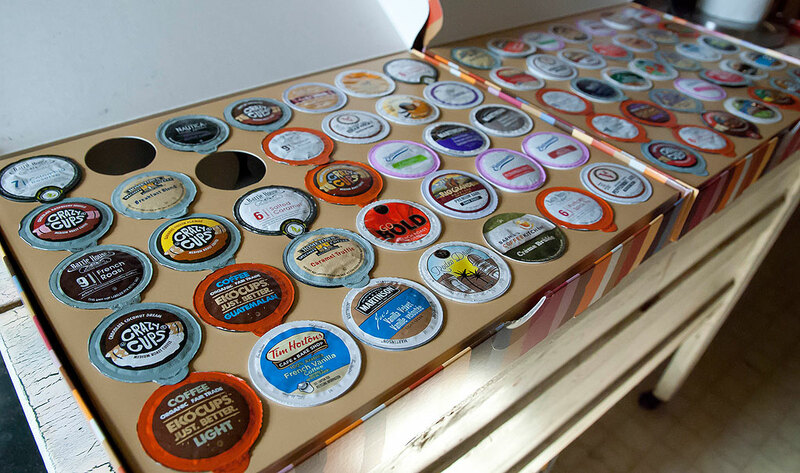 You might note that two K-Cup®s are already missing from the box; I couldn’t wait even long enough to photograph them to try some. I had a doctor with one of those machines. Such fun to try all the flavors, but I’ll never abandon my community New Orleans blend. Also black, no sugar.